Dec20December 20, 2014 • By milkandbun • This entry was posted in Cakes, Dairy, Desserts, Festive Cooking and tagged baking, cake, cheesecake, cooking, cottage cheese cake, cranberry, dairy, dessert, festive cooking, food, food photo, food photography, food styling, holidays, photography, photos, recipe, Russian, Russian recipe, tvorog cake, winter cooking. Bookmark the permalink. Ooooo I love the sound of this! Looks beautiful and so festive. 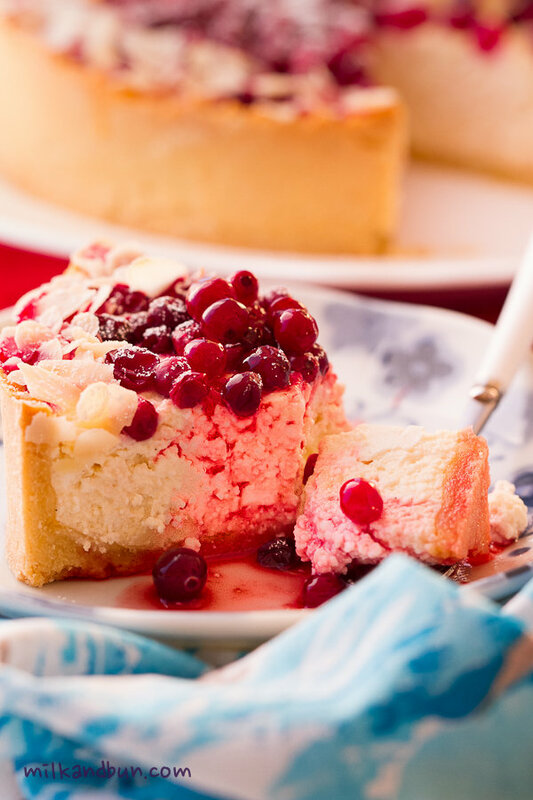 What a gorgeous cheesecake. You really have such amazing presentation. I’m like you in that I like the hustle and bustle even though it’s overwhelming. There is something magical about this time of year. Enjoy! We still have to decorate, cook and bake for Christmas. 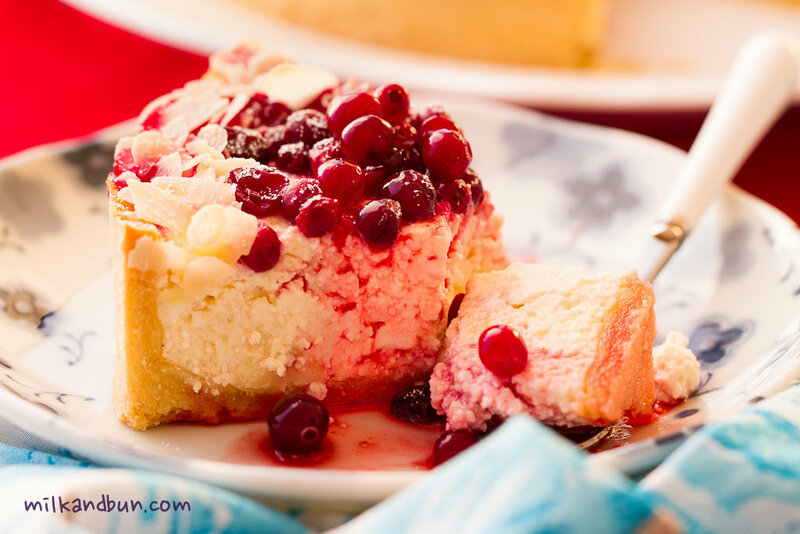 This dessert looks so festive and delicious! Oh yes, a grand cooking is coming! 🙂 Thank you for the comment, Helene! 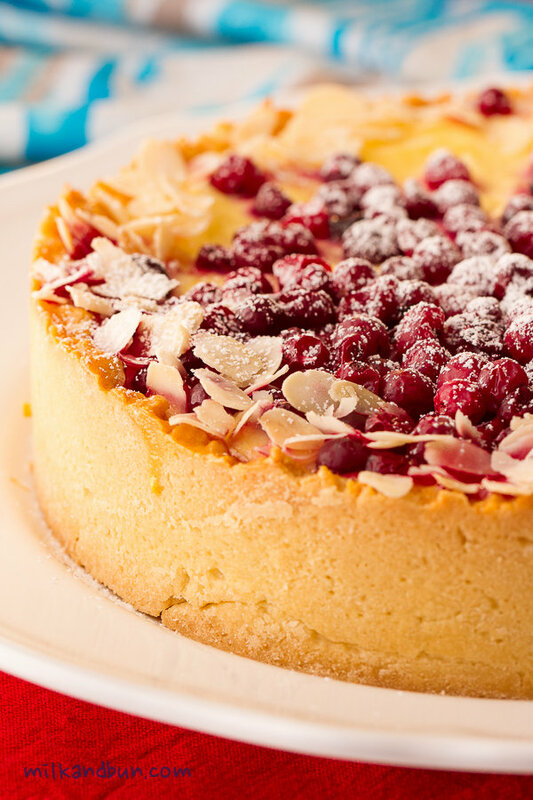 A lovely festive cheesecake indeed! Lovely photos, have a wonderful Christmas holiday. Thank you for stopping by and commenting! Have a great and joyful holiday too! I love your photos and it would be perfect for the festive season! Have a wonderful holidays, too! Thank you so much, Sarah! 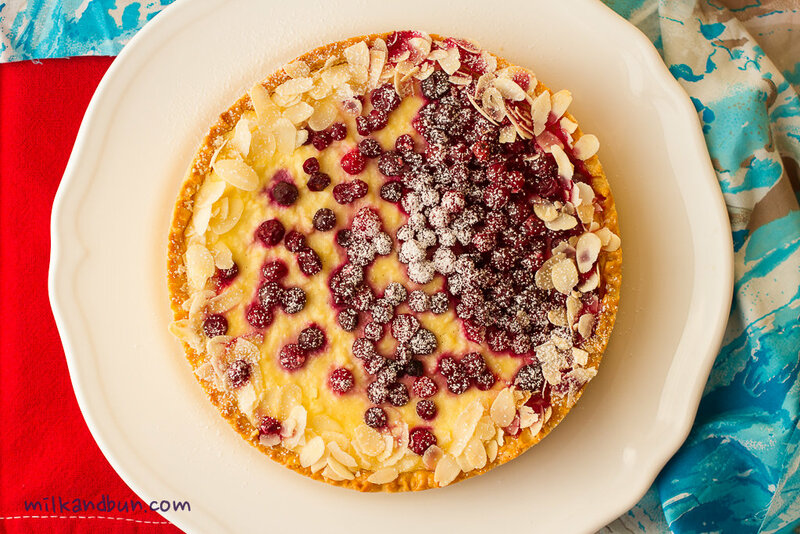 If you are a cheesecake fan, you should try out this recipe, it tastes absolutely amazing! Never would have thought of cottage cheese as one of the ingredients. It sounds so delicious and looks so pretty! Perfect! 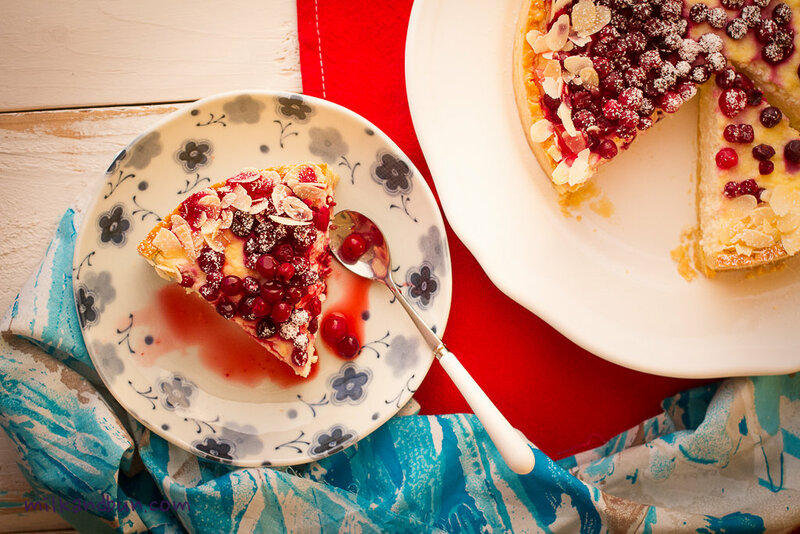 This cake looks delicious- on my list of things to eat after Christmas 🙂 Have lovely Holidays with your family and friends ! I’m such a sucker for dairy filled desserts! and this one has condensed milk too! It just threw me over the top 🙂 Love your pictures they lovely and so vibrant!